What are the best compression pants for running available in Malaysia and Singapore? Personally, I would recommend the Aulora Pants with Kodenshi available now in Malaysia, Singapore and Brunei. Aulora Pants is a compression pants made with over 88% Kodenshi fiber in Japan. 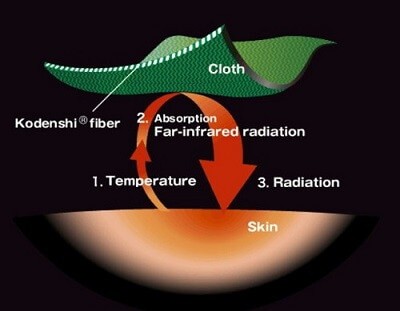 Kodenshi is a fabric that features far infrared ceramic of high-purity which is incorporated with fine-ceramics. The material is able to absorb your body temperature by radiating far infrared rays to retain warmth. Due to the far infrared rays, Aulora Pants wearer will experience increased blood circulation. The Aulora Pants was officially launched in Malaysia in September 2017 and Singapore in early 2018. As of April 2018, the company that imports the pants, BE International Marketing, has sold over 41,000 pieces. Aulora Pants was initially marketed as a slimming pants. After some time, people started to realise it can do more than just slimming. Because the pants wearer will experience increased blood flow in their body, the pants are being used as a compression tights for running. 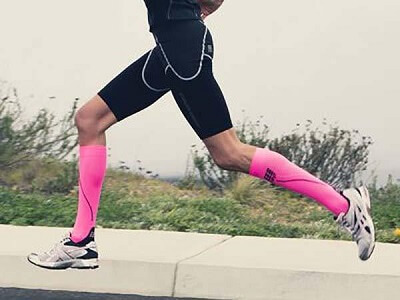 Why do long distance runners favour compression gear? Reason being, compression pants fit snugly to the body preventing oscillation of the muscle during impact and increasing blood flow to the muscle. In other words, the pants reduce muscle movement during running therefore preventing energy wastage and assists in maintaining proper body alignment. Increased blood flow makes sure that the leg muscles are receiving a steady supply of oxygen which is required to sustain running performance and speed up recovery. Because Aulora Pants has compression and increase blood flow properties, long distance and marathon runners are now using it as a sport compression pants. Back in March 2018, Hans participated in the World Series Powerman Malaysia 2018 competition in Putrajaya, Malaysia. Powerman is a 10 km run, 60 km bicycle ride and another 10 km run event. Hans actually wore the pants during the entire race. Check out the testimonial video from Hans below. From his review and testimonial above, it is clear that the pants helped Hans by giving him some support during the race. Hans was also quite surprised that the pants was cool eventhough he had to run and cycle in the warm Malaysian weather. As an added benefit, the pants also helped him to recover faster after the race. Hans felt surprisingly very fresh after the event. Are you a regular marathon or long distance runner? If you are, why not use the Aulora Pants with Kodenhi your compression running gear. The pants will improve your running performance and also help you to recover faster. No more muscle aches and joints pain after a race. You won’t believe the beneficial results until you’ve tried it.